Why send business gifts from Lobel's of New York? How do you say thank you, congratulations, or best wishes to your clients, co-workers, partners, customers, employees, and VIP contacts in the most memorable and delicious way possible? Give a gift of the finest and freshest meats available anywhere. 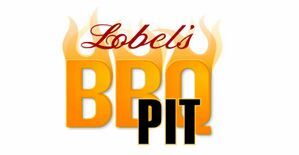 When it comes to corporate gift-giving, sales incentive, and customer appreciation programs, Lobel's of New York is the perfect choice. 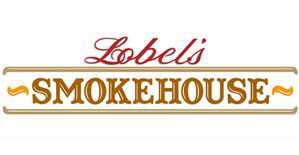 For five generations, Lobel’s has been known for providing the absolute best and freshest beef, veal, lamb, pork, and poultry at any price. Our insistence on absolute quality is our hallmark. And the results of this commitment to quality and outstanding service have been heralded time and again in impartial taste tests conducted by such leading publications as Fortune, Money and Esquire magazines, The New York Times, Wall Street Journal and many, many more. Planning any size gift program is simple to implement, and every aspect of your program will be customized to your specific needs. Once you've selected your gifts, it’s a simple matter to set up your program—even if it includes multiple orders to multiple locations and even for multiple delivery dates. Most programs can be put together with a minimum of fuss and muss on your part—all we usually need is a spreadsheet of your gift list and ship-to information. We're here to help you. We offer a wide array of gift-giving options to accommodate any size budget, occasion, or circumstance—everything you need to organize holiday gift-giving, sales incentive, or appreciation programs. But if what you see online doesn't meet your needs, contact us and we'll work together to create a plan that works for you. 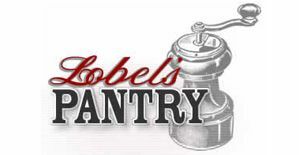 When you express your best wishes with a gift of Lobel’s incomparable meats and specialty products, they’ll know you really mean it. For single orders and those of up to 10, you can order online or call our customer-service center at 877-783-4512. For orders of more than 10, call our administrative offices toll-free at 585-328-0420 between 9 a.m. and 5 p.m. (ET) weekdays and ask about how we can help you create your own corporate gift program. We’ll plan every aspect with you—customized to your specific needs. 1. Take a look through our Gift Guide to get an idea of what type of gifts you'd like to send. 2. Have a rough idea of how many gift recipients are on your list. 3. If you know what your overall gift budget is, that would be helpful, too. Some volume discounts might apply, or you might qualify for some special packages only available to corporate customers. Plus, we can help you to create gift packages that will meet your budget. Planning any size gift program is simple to implement—even one that involves a complex range of gift selections, shipping locations, and delivery dates. Most programs can be put together with a minimum of fuss and muss on your part—all we usually need is a spreadsheet of your gift list and ship-to information. If you need some questions answered by a live person, call our customer service center toll-free at 877-783-4512. We’ll get you the answers you need. If you’d rather kick around some ideas with an experienced corporate-gift planner, give us a call at 585-328-0420 or fill out our Contact Us form and we’ll call you back.